Boneless "hot" tenders with lettuce, tomatoes, onions, and ranch dressing. Fried chicken, cheddar cheese, lettuce, tomatoes, onions, and honey mustard. Chargrilled chicken, romaine lettuce, onions, grated parmesan, and Caesar dressing. Lettuce, tomatoes, onions, peppers, cucumbers, and your choice of dressing. 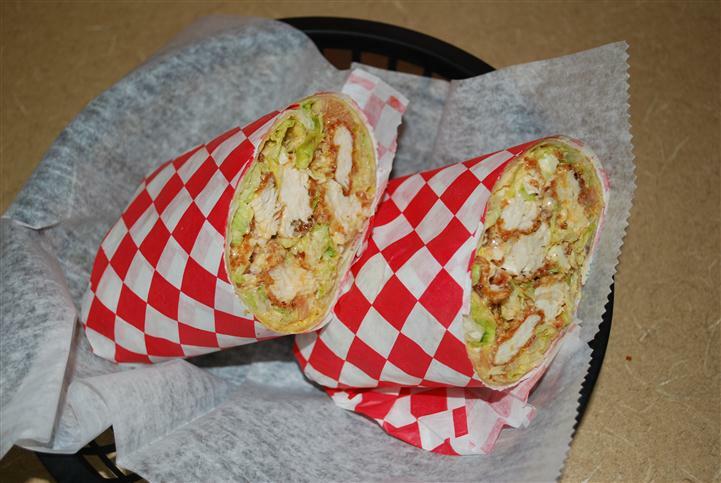 Chargrilled or fried chicken, bacon cheddar cheese, lettuce, tomatoes, onions, and your choice of dressing.